An Israeli researcher devised a synthetic compound to disable the enzymes that allow cancer cells to metastasize. When cancer cells leave the primary tumor and spread to other organs, they reprogram their energy-generating system in order to survive in harsh conditions with a shortage of nutrients like glucose. 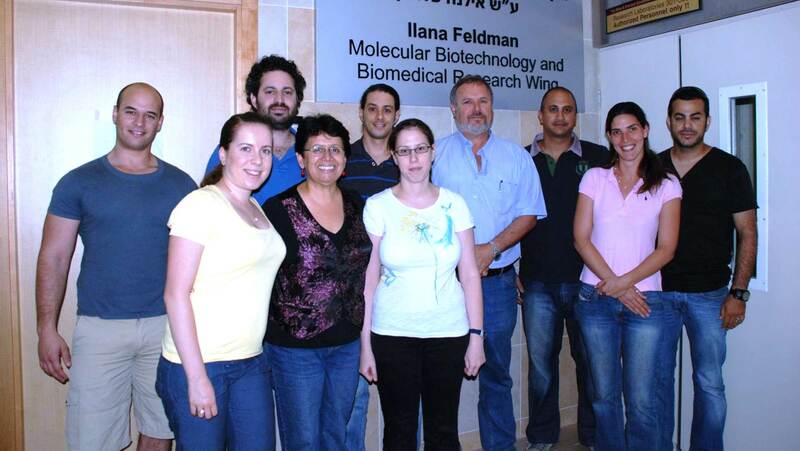 Prof. Uri Nir of Bar-Ilan University identified an enzyme called FerT in the energy-generating mitochondria of metastatic cancer cells – an enzyme normally only found in sperm cells (which need to function outside the body they came from). When he targeted FerT in lab mice, the malignant cells soon died. “We have treated mice with metastatic cancer and this compound completely cured them with no adverse or toxic affect that we can see,” reported Nir, adding that normal cells were not affected. Phase 1 clinical trials are planned over the next 18 months. In 2015, two researchers from the Weizmann Institute of Science in Israel released a groundbreaking study showing that specific foods and food combinations affect each individual’s blood-sugar level differently. That discovery was incorporated into a made-in-Israel app, DayTwo, which helps pre-diabetics and diabetics who are not insulin dependent choose dishes that can best balance their individual blood-sugar levels. The algorithm predicts blood-glucose response to thousands of foods based on gut microbiome information and other personal parameters. High blood sugar is linked to energy dips, excessive hunger and weight gain as well as increased risk of metabolic diseases such as diabetes and obesity. To use the app, which went on sale in the US in 2017, users need to answer a questionnaire about their medical history, physical characteristics, lifestyle and diet. A stool-sample kit is then FedExed to the user, who sends it on to DayTwo’s lab. There the microbiome DNA is sequenced and the data is plugged into an advanced machine-learning algorithm. In about six to eight weeks, users receive a microbiome report and a six-month plan of personalized meal recommendations to help balance blood sugar. In August and December, doctors at Emek Medical Center in Afula performed rare bone implants – one on a man missing part of his arm boneand the second on a man missing five centimeters of his shinbone, both as the result of car accidents. 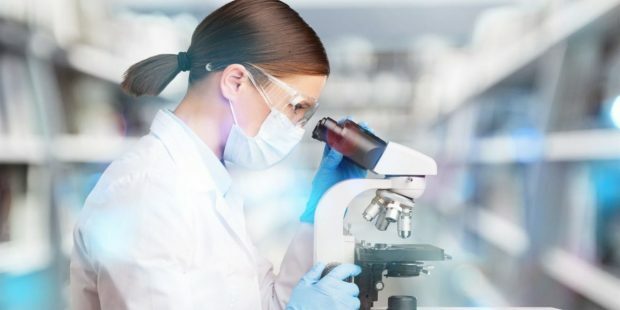 Normally, the human body cannot restore bone segments, but revolutionary tissue-engineering technology developed by Haifa-based Bonus BioGroup enables growing semi-solid live bone tissue from the patient’s own fat cells. The tissue is then injected back into the patient’s body in the expectation that the missing bone fragment will be regenerated in around six weeks without any danger of implant rejection or the complications of traditional bone transplants. “This surgery is truly science fiction; it changes the entire game in orthopedics,” said Dr. Nimrod Rozen, head of orthopedics at Emek, who carried out the experimental procedure. In the future, the Bonus BioGroup regeneration technology could be used for a variety of bone-loss conditions, including bone cancer, for which there is currently no solution. An early-stage Israeli ophthalmic medical devices startup developed a revolutionary artificial cornea implant that holds out hope to millions of blind and visually impaired people. The nanotech-based synthetic cornea by CorNeat Vision of Ra’anana proved successful in initial tests on animals. The company plans human implantations in Israel in mid-2018, and a larger clinical trial in the United States. 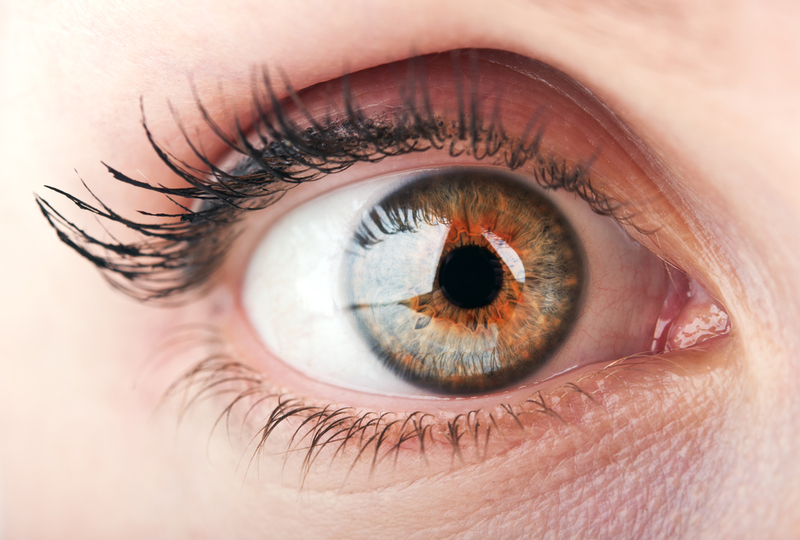 According to the World Health Organization, diseases of the cornea are the second leading cause of blindness worldwide, affecting as many as 30 million people. “Unlike previous devices, which attempt to integrate optics into the native cornea, CorNeat’s implant leverages a virtual space under the conjunctiva that is rich with fibroblast cells, heals quickly and provides robust long-term integration,” said CorNeat Vision’s Almog Aley-Raz. The surgical procedure takes just 30 minutes. In June, ISRAEL21c reported on a new tool developed by Via Surgical for attaching mesh to tissue, allowing surgeons to treat hernias with fewer complications, less pain and faster recovery. In the US alone, some five million people have a hernia – a protrusion of an organ or tissue through a weak spot in the abdomen or groin — according to the National Center for Health Statistics. Traditionally, open hernia-repair surgery involved stitching a mesh patch, or surrounding tissue, over the weak tissue. Today, many hernias are repaired laparoscopically, but because suturing through tiny laparoscopic incisions is difficult, most surgeons use a less ideal solution — screw-like tacks to secure the mesh to the abdominal wall or bone. 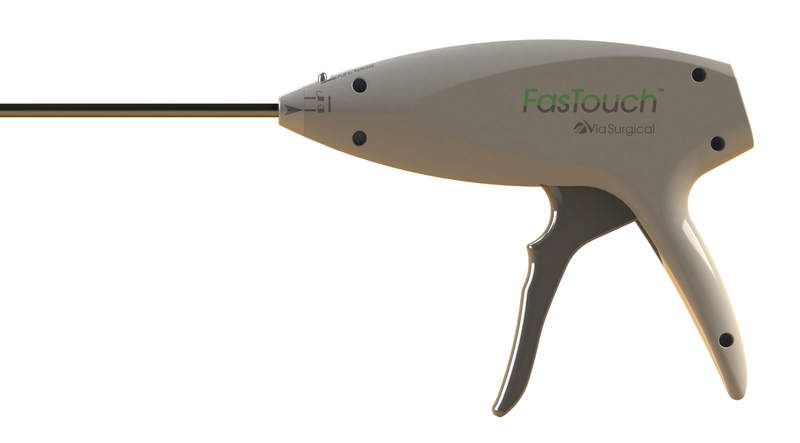 Via Surgical’s unique FasTouch cartridge system, which received FDA approval in 2016, affixes prosthetic material to soft tissue. It is designed like sutures and delivered like tacks, with the goal of providing the best of both worlds for laparoscopic hernia repair. “Surgeons are very excited about it,” says Lena Levin, cofounder and CFO of Via Surgical. 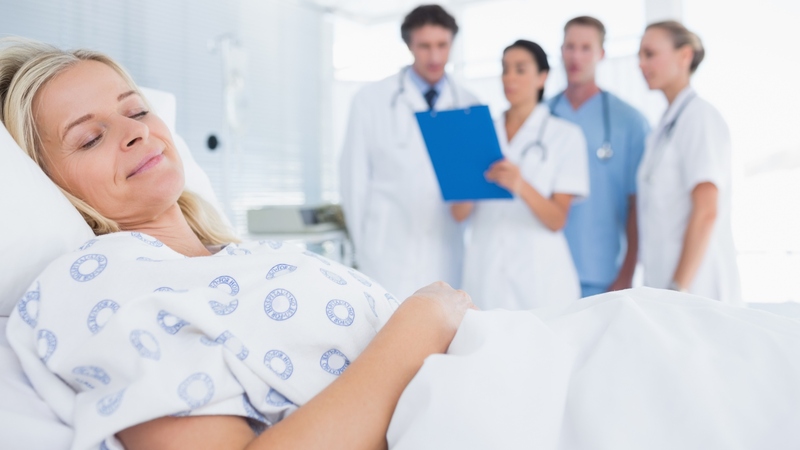 “Hernia repair is one of the most common surgeries. Israeli engineer Raphael Rembrand developed a simple noninvasive way to screen newborns for signs of autism using the same instrument currently used to test infants’ hearing. The SensPD diagnostic test, now ready for clinical trials, uses optoacoustic emissions as an indicator of the baby’s overall sensory perception. It can be administered hours after birth, and because the inner-ear mechanism develops in the third trimester of pregnancy, one day it may even be possible to screen for autism spectrum disorders prenatally. Some three million children are diagnosed with autism every year. The earlier the condition is detected the better the possible outcome. Thirty years ago, Rembrand’s four-year-old son was diagnosed as autistic, but it was too late at this point for critical early-intervention therapies. “Applying interventions before the age of two results in better than 90% success rate in ingraining social skills for social integration,” says Rembrand. In May, scientists from the Hebrew University of Jerusalem and from the University of Bonn in Germany announced that they had restored the memory performance of lab mice to a juvenile stage by administering a small quantity of THC, the active ingredient in cannabis. The report in Nature Medicine showed that after giving low doses of THC to mice over a four-week period, the cognitive functions of 12- to 18-month-old mice treated with cannabis were just as good as the functions of two-month-old mice in the control group. Clinical trials on humans are to follow. A study by Therapix Biosciences presented in September to the International Association for Cannabinoid Medicines’ Conference on Cannabinoids in Cologne, Germany, similarly suggested that THC can significantly reverse age-related cognitive impairment in old mice. This year, Hebrew University of Jerusalem PhD student Suaad Abd-Elhadi won the Kaye Innovation Award for her diagnostic tool, ELISA, which detects Parkinson’s disease at a much earlier stage than existing tools, and better tracks progression of the disease and response to therapy. Parkinson’s disease, affecting seven to 10 million people worldwide, is characterized by stiffness, tremors and shaking. Medication to control symptoms is costly. Currently there are no standard diagnostic tests for Parkinson’s other than clinical information provided by the patient and the findings of a neurological exam. Once Parkinson’s is revealed, the neurodegenerative disease is usually already progressing. Abd-Elahdi’s diagnostic tool detects the alpha-synuclein protein closely associated with Parkinson’s disease, and could lead to a minimally invasive and cost-effective way to diagnose the disorder in time to improve the lives of patients. Abd-Elhadi has demonstrated a proof of concept and is analyzing a large cohort of samples as part of a clinical study. Through its Yissumtechnology transfer company, Hebrew University has signed an agreement with Integra Holdings for further development and commercialization. Each year, nearly 3 million seniors worldwide are hospitalized due to hip fractures – many experiencing a drastic deterioration in quality of life. The direct annual cost of treating hip fractures exceeds $15 billion in the US alone. Rather than focus on better ways to treat the broken bone, Israeli engineer Amatsia Raanan decided to use cutting-edge technology to avoid injury in the first place. He and three cofounders developed Hip-Hope, a smart wearable device designed as a belt. Once Hip-Hope’s multi-sensor detection system senses an impending collision with a ground surface, two large airbags are deployed instantly from each side of the belt to cushion the hips, and a connected smartphone app sends an automatic alert message to predetermined recipients. The 1-kilo (2.2-pound) device, due to go on sale shortly, even has a built-in emergency call button that the user can activate in any situation of distress. 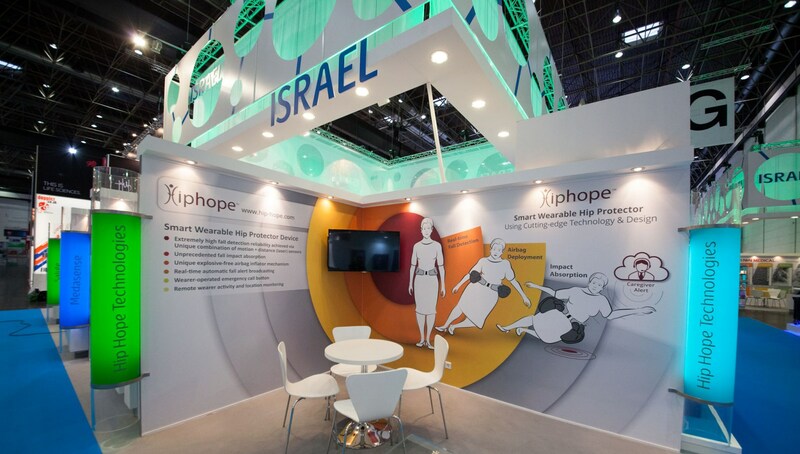 Hip-Hope is certified by the CE (Europe), FDA (United States), Health-Canada and AMAR (Israel). In studies carried out at a major Canadian lab, the Israeli device was proven to reduce impact by 90%. Jerusalem-based Raziel Therapeutics has developed an injection that melts fat cells and postpones the proliferation of new fat cells. The medication generates heat to use up some of the free fatty acid that’s produced by fat cells in the body, which in turn reduces fat tissue. Obesity has become a worldwide epidemic, and the World Obesity Federation predicts that by 2025, a third of the world’s population will be overweight or obese. Raziel’s technology, which targets specific areas in the body, is now in clinical trials in the US. Preliminary results show a 30 to 50 percent reduction in subcutaneous fat at the treated site after a single injection. Each treatment lasts between six and nine months, but treatment could be more effective in those who change their lifestyle in parallel. An audio-analysis technology developed at Ben-Gurion University can assess sleep disorders such as obstructive sleep apnea (OSA) while the user is awake, at home and not hooked up to machines or sensors. The American Sleep Apnea Association estimates that 22 million Americans suffer from the malady and that as many as 80% of moderate to severe OSA cases go undiagnosed. Currently, patients are diagnosed using overnight polysomnography (PSG) to record brain waves, blood oxygen level, heart rate, breathing, and eye and leg movements via electrodes and sensors. The new system, which does not require contact sensors, could be installed onto a smartphone or other device that utilizes ambient microphones. It analyzes speech during waking hours and records and evaluates overnight breathing sounds using new technology that is simpler and significantly less expensive than PSG. The researchers have tested the system on more than 350 subjects and are working toward commercialization. 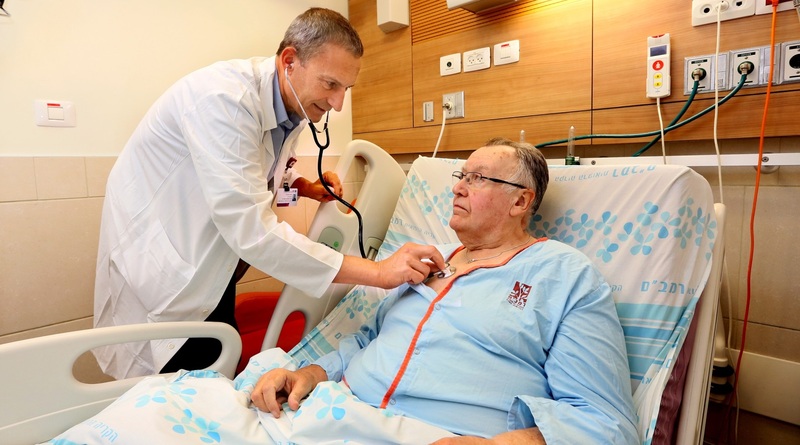 In July, a 72-year old Canadian man became the world’s first recipient of an Israeli-developed implant to treat diastolic heart failure – a fairly common condition for which there is no effective long-term treatment. The minimally invasive surgery was performed at Rambam Health Care Campus, a medical center in Haifa. The CORolla implant was developed by cardiologists at Israeli startup CorAssist Cardiovascular of Haifa. The elastic device is implanted inside the left ventricle and applies direct expansion force on the ventricle wall to help the heart fill with blood. The patient, Robert MacLachlan, had run out of treatment options in Canada for his diastolic heart failure. His wife read about CORolla on the Internet and contacted Rambam. Researchers from the Weizmann Institute of Science discovered a molecule in newborn hearts that appears to control the process of renewing heart muscle. The findings, published in June in Nature, point to new directions for research on restoring the function of damaged cardiac cells. The Agrin molecule seems to “unlock” the renewal process and enable heart-muscle repair – never seen before outside the womb. Normally, after a heart attack the damaged muscle cells called cardiomyocytes are replaced by scar tissue, which cannot pump blood and therefore place a burden on the remaining cardiomyocytes. Following a single injection of Agrin, damaged mouse hearts were almost completely healed and fully functional. Scar tissue was dramatically reduced, and replaced by living heart tissue that restored the heart’s pumping function. The research team has begun pre-clinical studies in larger animals.